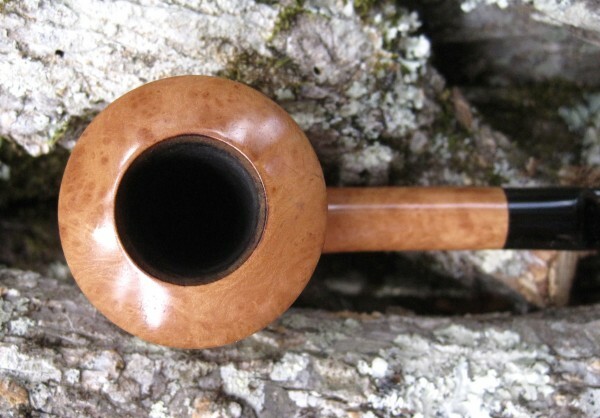 Recently bought a Tilshead pipe that has hardly been used. I know they are James Upscale seconds, but this one looked really good, so I had to spring $45 for it. 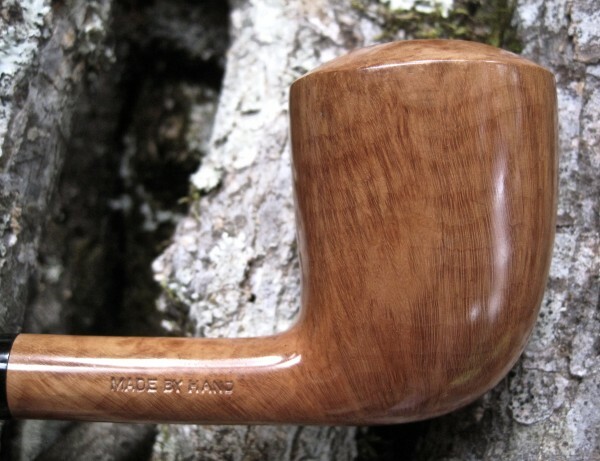 I've been reading some old threads about Upshall and Tilshead pipes here and I find their history quite interesting. 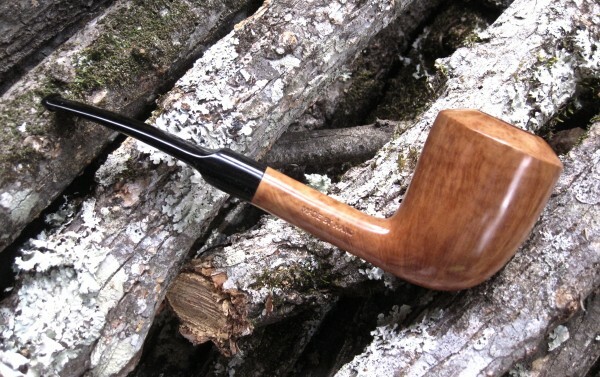 However, I still can't figure out how to get some idea of the general age of this pipe. This might be a fools errand, but I though I'd put it out there to see if anyone has some idea about it. 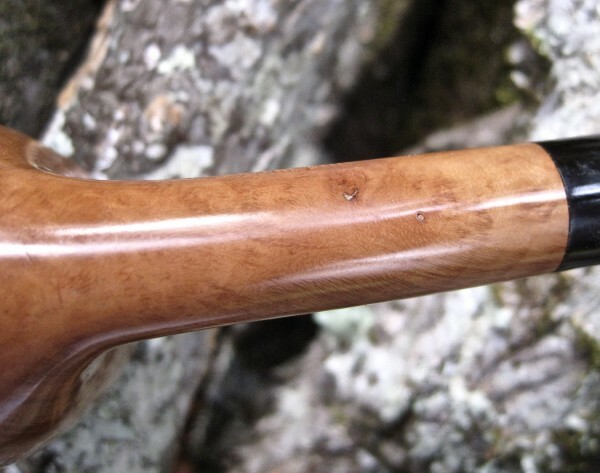 This pipe didn't need much cleaning as it seemed to hardly have been smoked. One pipe cleaner to clean the stem (yes really!) and very little to clean the stummel. Nice grain, and a couple of little pits on the bottom of the shank, which I guess kept it from being stamped an Upshall. I left it with the natural finish with no stain, and just polished and waxed it. The bowl is quite large at 2 1/2" tall with a deep bowl. Any thoughts about it? Here you can see the small flaws that made this a second I guess. That is nice Orley you done good. Looks like you got a real fine pipe for the money. Well done, sir. I have a fine Tilshead Naturel - in grain like Orleys - and without the JU in the stem as on newer ones. Ken Barnes sent it to me in summer 1986 - £ 25 plus 1 for the post. It was very,very resonable. Heck of a value with pretty darn good grainage. Thanks guys! I need to make a little correction about the bowl size. I miss-typed and put it as 2 1/2" tall, but it's closer to 2 1/4" tall. It weighs 53g which isn't all that heavy for a pipe of this size. For the first smoke I tried some Drew Estates Gatsby Luxury Flake. Not a bad flake, with lots of Virginias coming through and a little mild flavor of something else, but I'm not sure what I was tasting. I'll have to smoke a few more bowls of to see what I think, and hope I don't like it too much as it seems to be out of production. 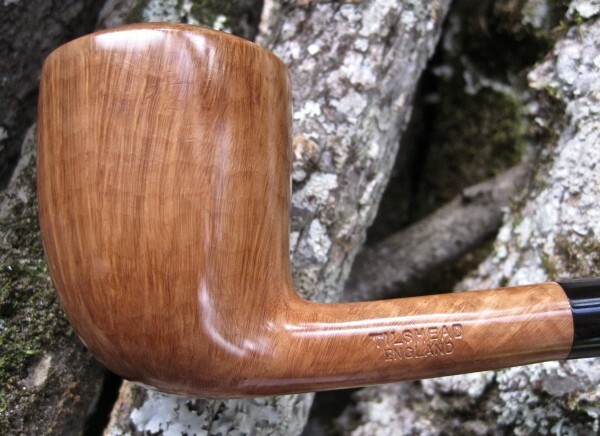 Pipes like that are a testament to the integrity of the Upshall brand in its heyday. 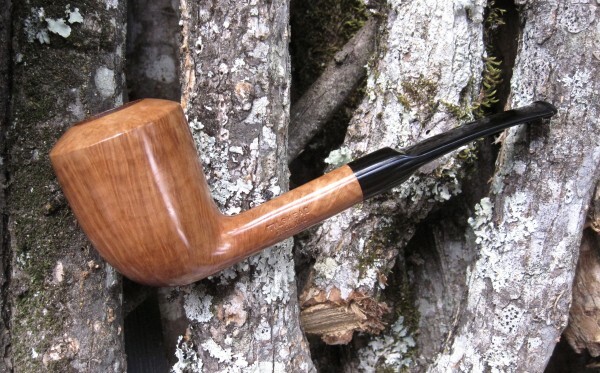 That pipe is hands-down gorgeous, and yet it wasn't quite up to being a "first."